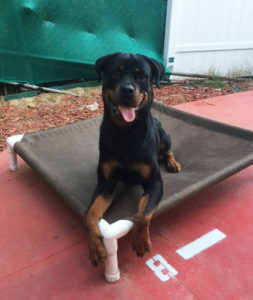 Female Rottweiler, Kayla, 2 years old. Obedience, Protection & Bodyguard Trained. Videos, photos & additional information are available upon request. Call us at 818-857-8754 or 818-290-9411. If you do not see the Trained Dogs For Sale you are looking for please contact us at 818-290-9411. 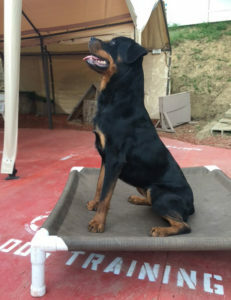 We have many breeds of quality Trained Dogs available to us for sale and we often do not find time to post them on our site. Let us know what you are looking for and we can help. Why choose Master Dog Training? Our training programs are custom tailored to fit you and your canine’s specific needs. 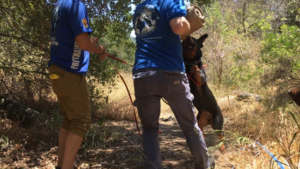 We train dogs for Shutzhund, protection, and body-guarding. Our trainers are experts in a wide range of disciplines, are aware of how training is done in Germany, the United States, Switzerland, and Russia, and work for police departments and the military. 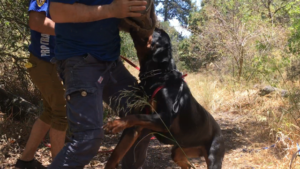 If you’re ready to protect yourself, your home and your family, as well as learn to better communicate with your canine friend, register online, or email us at info@MasterDog-Training.com to sign up for your First Dog Training lesson. If you feel that your dog might have an aggression problem – do not wait! Call us today (818) 290-9411 or register online and our trainer will gladly provide a first training class for you and your dog.